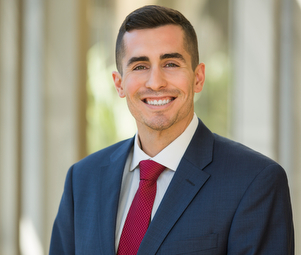 Jordan Gomez specializes in the disposition of private and institutional shopping centers in Central and Northern California. He has broken several national cap rate records in 2017 & 2018 and has been awarded the coveted Pace Setter award by Matthews™. Jordan has quickly moved through the ranks and has achieved great results by utilizing his comprehensive knowledge, tenacious work ethic, and unwavering determination. He truly has a unique ability to find the right buyers and communicate to them an assets invaluable story. This ability helps him deliver strong results and record-breaking pricing, despite a softening market, to both private and institutional sellers. Jordan is an integral member of the West Coast team led by El Warner, whose team has closed over $2B in shopping center sales.